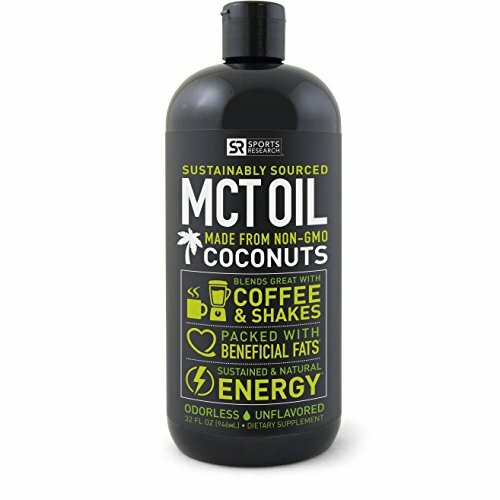 MCT Oil is a fractionated form of coconut or sometimes palm oil that only contains the fast-acting medium chain triglycerides (MCT). MCTs don't need the liver to break them down, and they can be absorbed quickly through the stomach and intestinal lining, making them an easy source of fuel for our bodies. Whether you are an athlete, someone following a ketogenic diet, a Bulletproof coffee lover, or just someone trying to shed a few pounds and up your energy levels, we highly recommend MCT Oil a couple tablespoons 2-3 times per day (in foods, coffee, green smoothies, or straight up). From organic coconuts, and packed in a BPA-free bottles, it's hard to find a cleaner product than this. 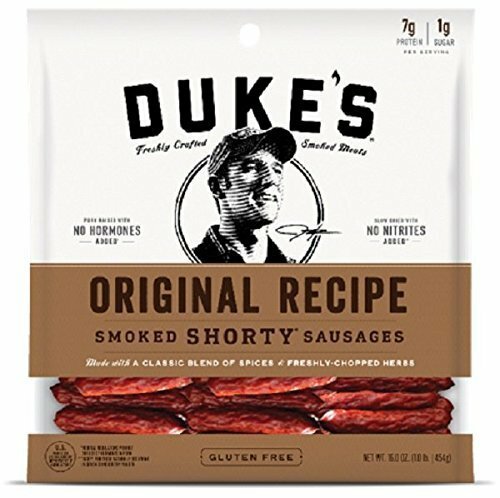 Duke's sausages offer a quick protein charge on the go, whether at work, during a hike, or at school, We like them because they provide a good source of naturally-raised protein and fat that meets the body's needs much more effectively than the usual sugar-sweet snacks that are so widely available. Just 2 sausages provide 7g of protein and 11g of fat. This is a very compact source of these essential nutrients! 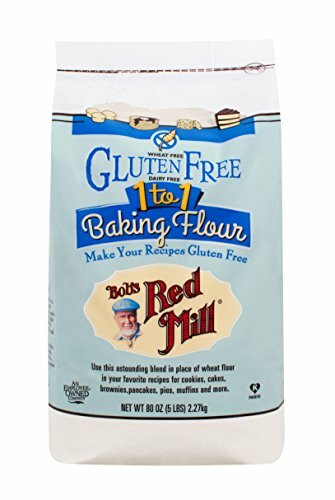 Bob's Red Mill has consistently produced fine alternative products to gluten, and this flour mix has proven to be a winning formulation for bakers who want to replace wheat and gluten-containing flour. NOTE: The carbohydrate content remains high, so use with caution, as high-glycemic elements of this flour mix will also raise blood sugar levels quickly. 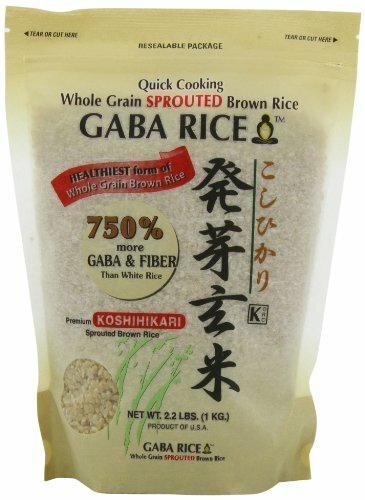 GABA Rice gets its name from the facts that the abundance of available nutrients in sprouted brown rice have been shown to support GABA, the body's neurotransmitter for wellbeing and calmness. Research shows that GABA helps with sleep issues, addictions, depression, women's health, and anxiety. This rice also is raised consciously to minimize arsenic content, a problem that affects most rice cultivation. Be sure to soak your rice for 4-8 hours in water with a little apple cider vinegar and rinse well before cooking. 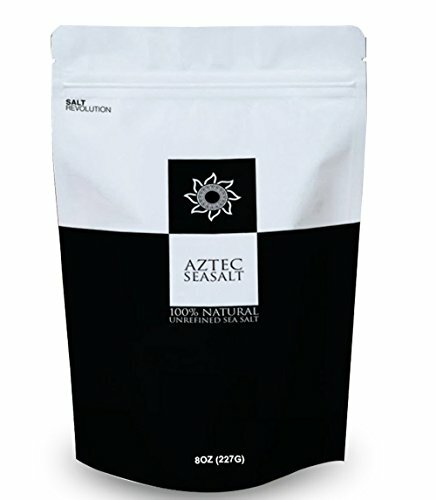 When it comes to the highest quality sea salt, Aztec Sea Salt is right at the top. Packed with a broad spectrum of minerals, what puts this salt ahead is the careful way it is harvested by hand to keep it pure and uncontaminated. We have been using this very tasty salt for years, both in our cooking, and as a helpful assistant to adrenal health and recovery with our clients. Your mom was right that you need to eat your vegetables. But very few people actually eat enough green vegetables to meet their daily need of micronutrients, enzymes, fiber, minerals, and vitamins. Even we struggle to make it happen, and we work hard at it! 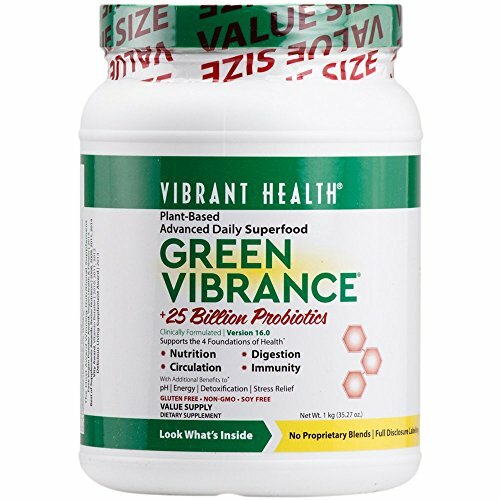 We've tried many brands of green food supplements, and this one remains our favorite. We like to blend it up with seasonal vegetables, a couple tablespoons of MCT Oil, some fresh lemon juice, ginger root, as well as some berries or pineapple, and coconut water kefir. It makes for a supercharged drink to start the day right. When we were building our house several years back, we made a point of installing a Reverse Osmosis (RO) filter system for our cooking and drinking water. Little did we know at the time that our top shelf filter was also removing all of the critical nutrient minerals from our water along with the pollutants and toxins. After a couple of years like this, we began to show signs of mineral deficiency (decreased energy levels and even neurological symptoms), which we recognize all too well now, but had no clue about then! Fortunately, a friend recommended theses liquid mineral drops, and they helped put us back on the path to healing and recovering our bodies' much-needed mineral electrolytes. 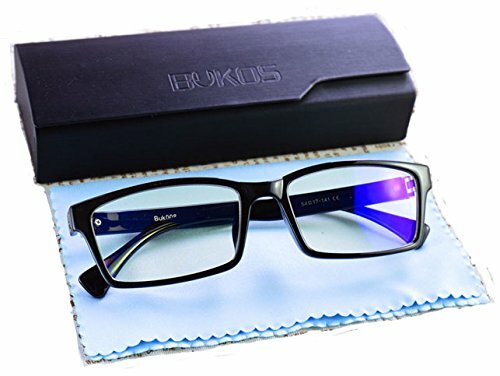 We are fans of these Bukos glasses, not only because they are polarized to reduce glare from backlighting, but also because they are light-weight and minimize discomfort, even when worn for hours at a time. Blue light-blocking glasses are essential equipment for anyone that spends more than a few minutes per day looking at a screen (which now means everyone!). Whether your screen time is for work, gaming, or watching Netflix, you are being exposed to harmful blue wavelength radiation, which can disrupt sleep and cause a range of physical ailments from eyestrain headaches to neck tension. Give your eyes and nervous system a break! 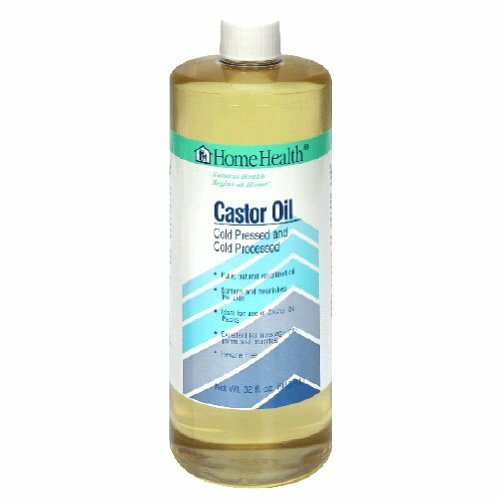 Castor oil is a time-honored method of gently pulling toxins out of the body through the skin (transdermal channels). While it is no substitute for essential nutrients and proper hydration needed for the liver to unload its toxic burden, castor oil certainly can help with removing heavy metals and other toxic excesses in the tissues. We use this oil personally in our clinical practice. 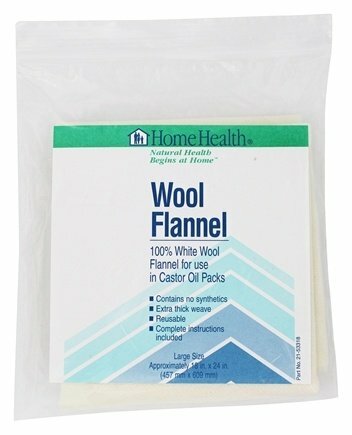 The easy to use flannel pack is very convenient, but can also be made from materials at home. Sometimes your system needs an extra detox boost, and coffee enemas are one of the safest and most trusted ways to cleanse your system from the inside out. This kit is preferred because it is free of phthalates and other known toxic materials found in common plastics. NOTE: Be sure to use only organic light roast coffee for maximum nutrient gain, following the Gerson method. 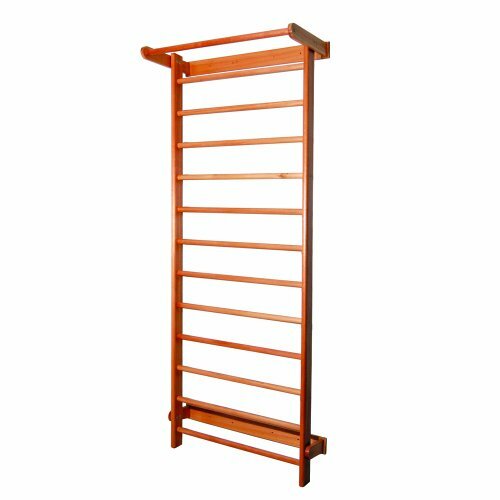 Don't have a Near Infrared Sauna (NIR) at home? No problem! 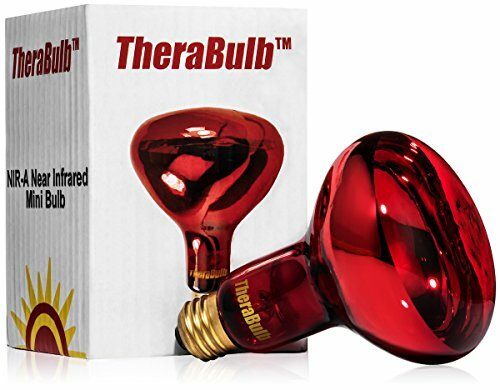 You can buy this clamp light and NIR bulb and create your own therapeutic IR space just about anywhere. 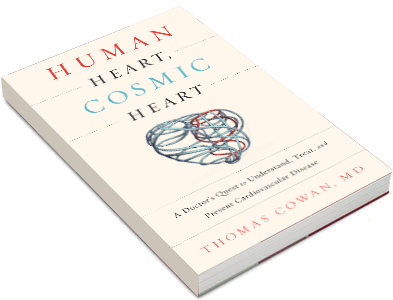 The heat and light spectrum of NIR has been shown to be healing to the body by activating the parasympathetic nervous system. It supports muscular relaxation and wound healing, induces the release of toxins, and even fights against pathogens and yeast/fungal overgrowths (such as skin rashes, acne, and gut dysbiosis). CAUTION: The lamp becomes very hot. Do not place it closer than 15 inches to the treated area (or beyond the sensation of comfortable heat) or it may cause a burn. Not all forms of magnesium absorb equally. 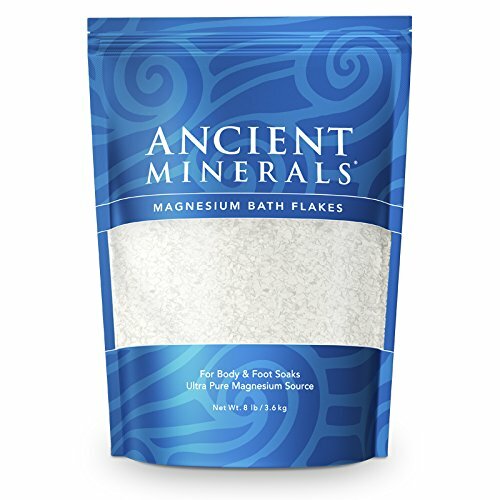 Far more than Epsom salts (magnesium sulfate), magnesium chloride (MgCl) absorbs easily and has a much longer-lasting effect. 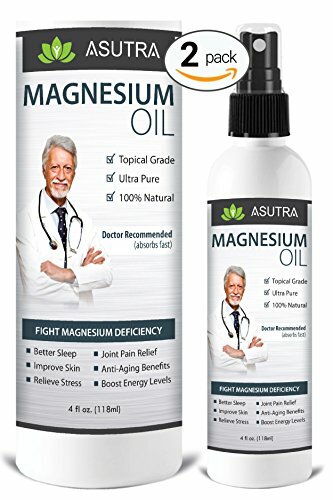 It is a powerful transdermal detoxifying agent and source of nutrient magnesium, which the body needs to de-stress, balance blood sugar levels, and relax tissues. MgCl added to a bath helps cells and tissues excrete toxins through the pores of the skin, and it also provides chloride, a key ingredient in the stomach's digestive gastric juices. Have you ever noticed that when you use your tablet, phone, or laptop for long, your hands and/or lap start to feel warm and oddly tingly? That's EMF from your cellular signal and wifi passing through your body's tissues. EMF is definitely disruptive to cellular processes, but we just don't know quite yet HOW disruptive it is. 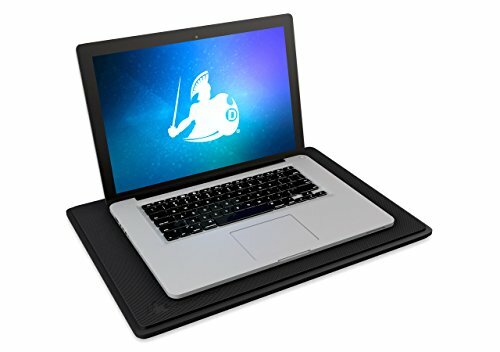 So, rather than take your chances, you can use a Defender Pad to minimize exposure while working, surfing the web, or playing games. The best way to to assist stretching at home! ✓ PREMIUM DESIGN FOR HEALTH AND SUSTAINABILITY. Filter made in USA, 100% BPA-free, 100% FDA-approved food grade materials, 100% recyclable, 100% vegan. If a whole house filtration system is not feasible, you can still benefit from a point-of-use shower head filter. The New Century shower head filter, also available through Radiant Life, is certified to remove 90% of chlorine in tap water and last up to 18 months. Highly effective even at high operating temperatures and flow rates. Add these skin and hair-saving shower heads in every shower to minimize your chlorine exposure! Up your point-of-use drinking water filtration with a Pure Effects system. We have tried many, many systems, from faucet filters, to counter top units, to Reverse Osmosis (RO), to spring water delivery, and this is what we have landed on for our personal use. Pure Effects makes a great range of highly effective, safe products, and they also have exceptionally helpful customer service. 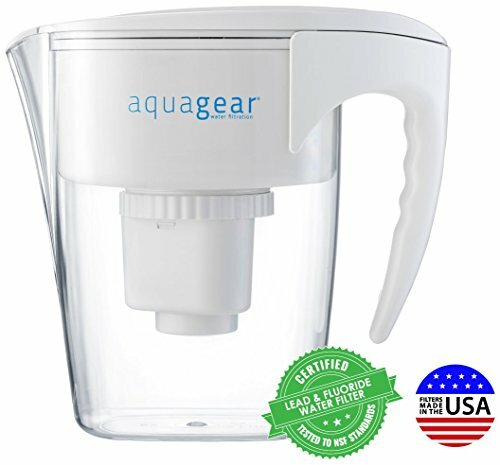 NOTE: There are many pitcher-type water filters, like the Aqua Gear pitcher above, also available for a lower cost. 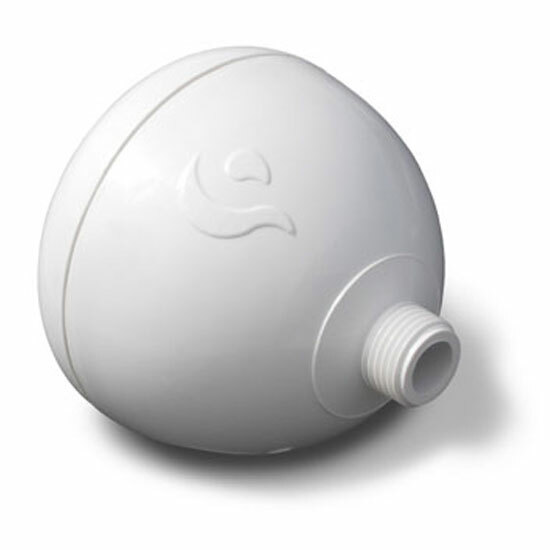 They are not as effective as a multistage filter system, but they still help reduce the toxic load on our bodies from Chlorine and water-borne particles. Since installing Radiant Life's whole house water filter system, our taps and showers are basically pouring out clean, fresh, pure water, free of chlorine, fluoride, chemicals, pharmaceuticals, and the vast majority of heavy metals. 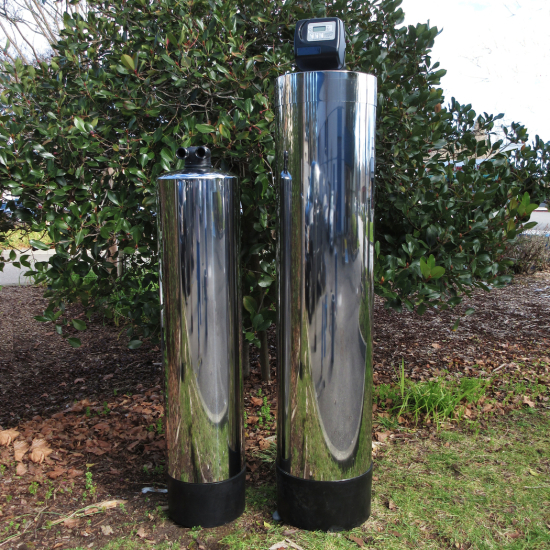 We highly recommend the Series 4 and Series 6 systems to anyone seeking a high quality solution to purify household water supplies. They can also be used in conjunction with under-counter point of use filter systems to deliver the most pristine drinking water possible. 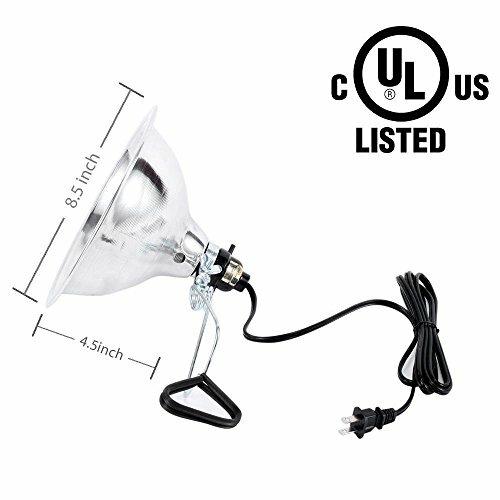 Radiant Life also carries a wide range of healthy products from food items to household items. Copyright © 2017 Zenshin Institute. All rights reserved. DISCLAIMER: Zenshin Method, Zenshin Body-Mind-Nutrition Consultations, and any information contained on www.zenshininstitute.com are solely based on the personal and professional experience of Zenshin Institute personnel, and only provide educational information and recommendations for supporting overall health. Statements made on this website have not been evaluated by the FDA or other regulatory body. Services provided by Zenshin Institute and its Practitioners should in no way be construed to diagnose diseases, replace personal medical consultations, nor are they intended as a substitute for medical treatment by a licensed physician. If you have, or suspect having, a medical condition, please consult your physician for a medical diagnosis and treatment.